improvements and modernization projects. The neighboring Village of Rosemont is joining in on the fun with a stretch of redevelopment linking River Road west to Mannheim. Bulldozers, excavators, and cranes have been tearing up the soil north and south of Balmoral Avenue west of I-294. Breaking ground is “The Pearl” development soon to be restaurants, office space, and a 163 room hotel. To the north comes the 6300-seat Rosemont Ballpark, adding affordable family fun to the area, according to Mayor Brad Stephens. La Grange Crane Service was brought on site by underground contractor DiMeo Bros to install over 2.9 million pounds of precast concrete for the StormTrap systems. 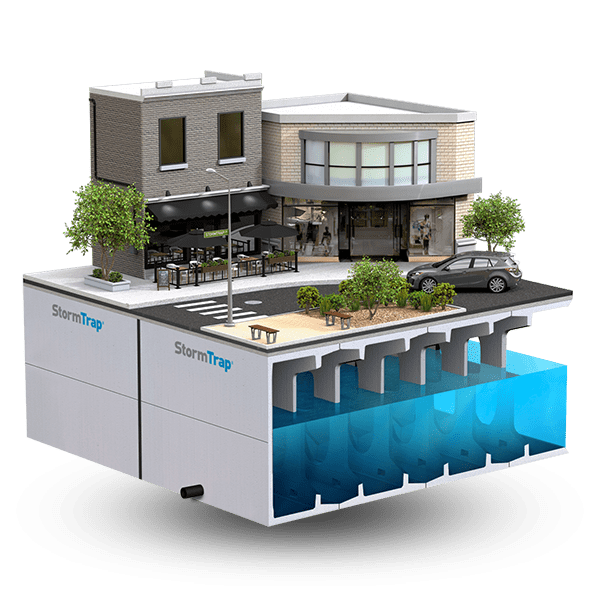 StormTrap is a patented underground stormwater detention system needed to manage and control the volume and discharge of stormwater runoff. The modular designs are often hidden below structures and parking lots, with infiltrative surfaces allowing water to discharge back into the soil. 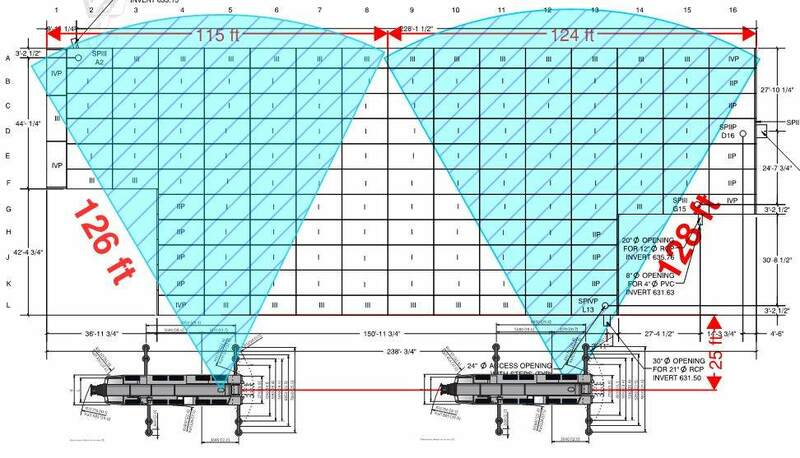 La Grange Crane’s StormTrap installation plan. The project posed a unique challenge for La Grange Crane. 275 Ton Crane Operator Arron Harmon was required to piece the 18,000 lbs units together with speed and efficiency, while maintaining a strict tip height on his crane to avoid the incoming paths of commercial airliners. La Grange Crane successfully obtained an FAA permit and completed the project under the watchful eye of the ORD Traffic Control Tower just hundreds of yards away.